ORDER YOUR SWFAA MEMERSHIP WINDOW DECAL TODAY! 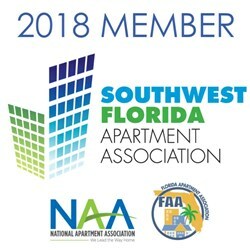 Show your SWFAA pride and let your residents and visitors know that you are part of a multifamily organization that reaches locally, state-wide & nationally! We have the decals in hand and are available to you at no charge as soon as your membership dues have been paid. Our Membership Committee team members will deliver to you once ordered.